This activity has been planned and implemented in accordance with the Essential Areas and Policies of the Accreditation Council for Continuing Medical Education (ACCME). Helms Medical Institute is accredited by the ACCME to provide continuing medical education for physicians. Helms Medical Institute designates this activity for a maximum of 300 AMA PRA Category 1 Credits™. Physicians should claim only the credit commensurate with the extent of their participation in the activity. 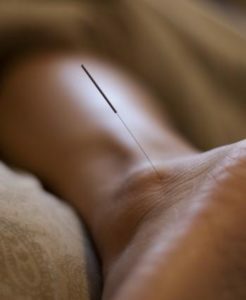 A document verifying 300 hours of formal instruction in medical acupuncture will be issued to each participant upon successful completion of the home study units and three live sessions. Credit for the home study units of the course is contingent upon successful completion of online quizzes for reading and video viewing. No partial credit will be issued for participation in any unit of the program. This program is approved by the American Board of Medical Acupuncture as meeting the formal educational standards for board certification with the ABMA. Upon successful completion of the course, graduates are qualified to sit for the American Board of Medical Acupuncture examination. Board certification requires two years of active acupuncture practice, however, candidates may take the examination after finishing the course.